SEOUL, Republic of Korea - With concurrence from South Korean commanders, the U.S. Navy amphibious assault ship USS Bonhomme Richard (LHD 6) is departing waters around Jindo, South Korea, April 22 after assisting with search and rescue operations near the site of the Korean passenger ferry Sewol. The completion of Bonhomme Richard's search and rescue mission comes after South Korean military leaders determined that current resources were sufficient to carry out future search and rescue operations utilizing ships and aircraft from the Republic of Korea. "Our thoughts and prayers remain with the passengers of the ferry Sewol and their families," said Capt. Joey Tynch, USS Bonhomme Richard commanding officer. "Our Sailors and Marines were honored to assist the Republic of Korea during this time of tragedy. We continue to hope for the best for our Korean friends." Bonhomme Richard was on a routine patrol in waters west of the Korean peninsula at the time of the incident and the ship was diverted to the scene by the U.S. Seventh Fleet to render assistance. The ship's crew and embarked air wing searched an area five to 15 nautical miles from the site of the sunken ferry. The searches were conducted with U.S. Navy MH-60 Seahawk helicopters as well as U.S. Marine MV-22 Ospreys and UH1Y Hueys. Bonhomme Richard is forward-deployed to Sasebo, Japan as part of the U.S. 7th Fleet. 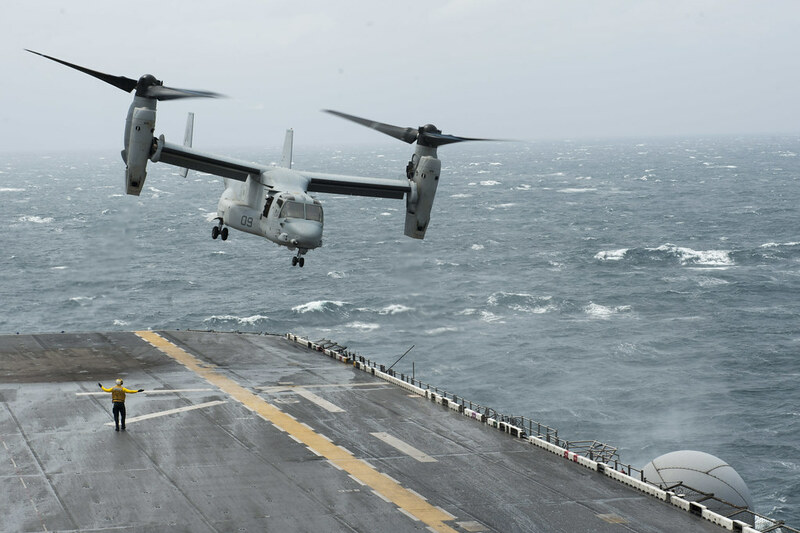 With its embarked Marine Expeditionary Unit, the ship is capable of both combat and humanitarian operations. Bonhomme Richard primary mission is to embark, deploy and land elements of a Marine Landing Force in amphibious assault operations by helicopter, landing craft, amphibious vehicle or any combination of these methods. The U.S. 7th Fleet will continue to provide assistance to the Korean ferry Sewol search and rescue operations with advisors and other subject matter experts as requested by the South Korean government.